Vacuum brazing furnace is mainly for the synthesis or welding of some precision instruments, such as aerospace equipment, especially the engine. Heating vacuum brazing is artifacts as a whole, can accurately control temperature uniform heating, the workpiece deformation is small, can brazing welding material of high temperature alloy hard, no soldering flux, brazing quality is good, and important artifacts are widely used in welding. 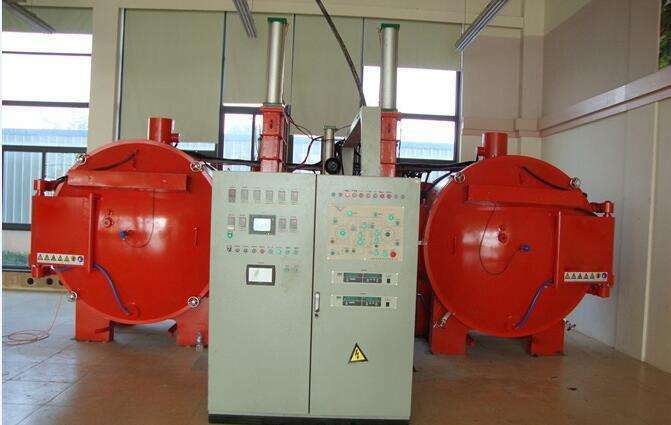 Vacuum brazing furnace is composed of vacuum system and heating system. The vacuum system is used to meet the vacuum degree required by vacuum brazing process. The heating system heats the parts and melts the solder. The parts are soldered. The process is controlled automatically by the temperature controller. Vacuum brazing process of main work as follows: the first assembly good artifacts into the vacuum chamber, start the mechanical vacuum pump, after being system reaches a certain degree of vacuum, turn on the diffusion pump, vacuum chamber to the required vacuum after heating heating as required. The vacuum system should be pumped continuously throughout the heating process to maintain the required vacuum. The heating speed should not be too fast to avoid a sharp drop in vacuum. When the heating process is completed, it is cooled, and when the temperature in the furnace is reduced to the temperature of the oven, the soldering of the parts is finished. Generally cooled to below 1 500 ℃ after brazing is allowed, lest the workpiece oxidation.